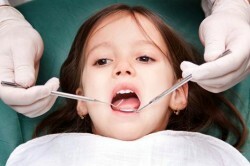 Getting a shot at the dentist can be a little scary for anyone but especially young children. This video titled “Harvey’s Injection Perfection” may be a good way to ease your child’s fear before their appointment. Heavenly Smiles is a family dentistry office and Dr. Nichole Martin does great children’s dentistry in Lynnwood.